Unwaveringly popular with our community, our monthly series offers a deep dive into the most interesting acquisitions, financings and partnerships within the food tech and media ecosystem. It gives our readers insights on the latest funding and growth trends, and covers everything from digital content and grocery to e-commerce and mobile payments. 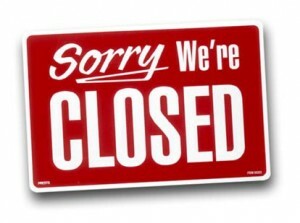 Opening a restaurant is incredibly risky, especially in a city like NYC where the odds are definitely against you. In this piece, Danny Carberry, director of concept and product development at Panera Bread, shares his insights on the 5 reasons why most restaurants fail – starting with undercapitalization and ending with lack of time commitment. 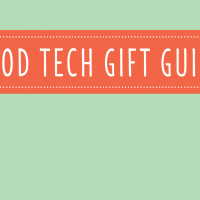 We want to make 2014 the year startups disrupt food, so we’re developing a series of classes to help food entrepreneurs gain the skills they need to grow. 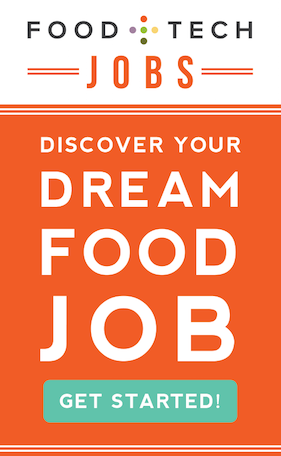 Our goal is to make expert-taught food business education accessible and affordable for all. We’ve been overwhelmed by the amount of positive feedback we’ve had thus far, and invite you to tell us which classes and skills will help you achieve your 2014 goals. Learn more HERE. Ashton Kutcher’s beautiful, bloody masterpiece, sheds light on the butchery renaissance through interviews with three of its major players, 4505 Meats, Avedano’s Holly Park Market and Local Butcher Shop. 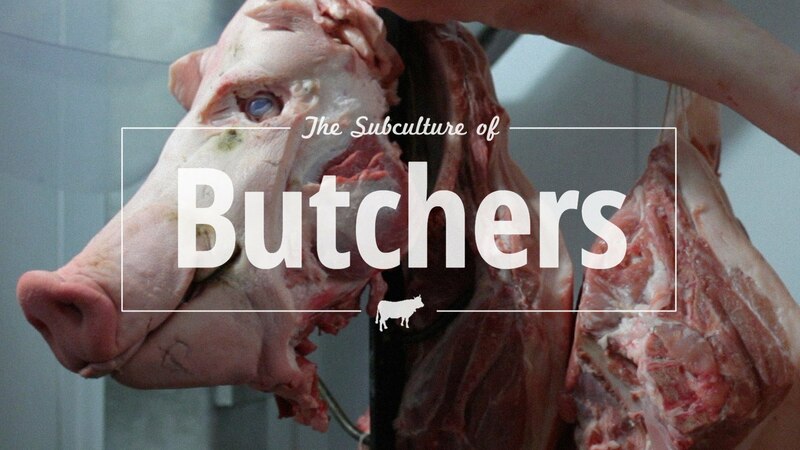 Marissa Guggiana co-founder of The Butchers Guild narrates the meaty journey. The facts on food waste are straight forward and staggering: the 1.3 billion tons of food is thrown away is enough to feed the 868 million who are hungry around the world. Educating on the issue and creating impactful, far-reaching solutions is more difficult. But countless organizations are rising to the challenge. 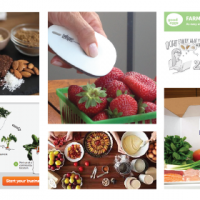 Here we profile 6 emerging technologies that are tackling the food waste beast. 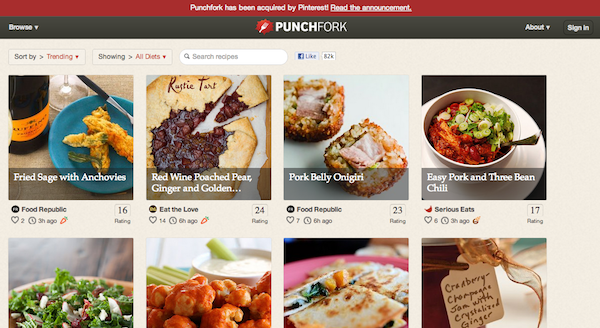 Pinterest’s early 2013 acquisition of recipe curation website Punchfork was big news in the food media world. 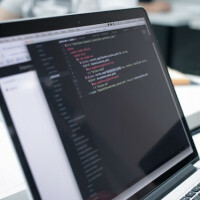 In this piece we take a closer look at Punchfork’s API business model and why it may have lead to a such a high profile acquisition. Google co-founder Sergey Brin’s younger brother jumped into the crowded digital dining space earlier this year. 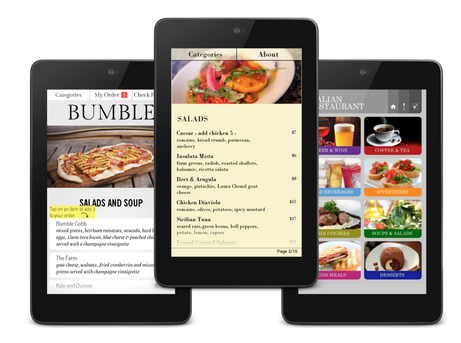 His fully customizable table-side ordering platform Butter Systems aims to replace menus with tablets, rather than replace people with technology – a notion that more and more customers are actually growing to accept. 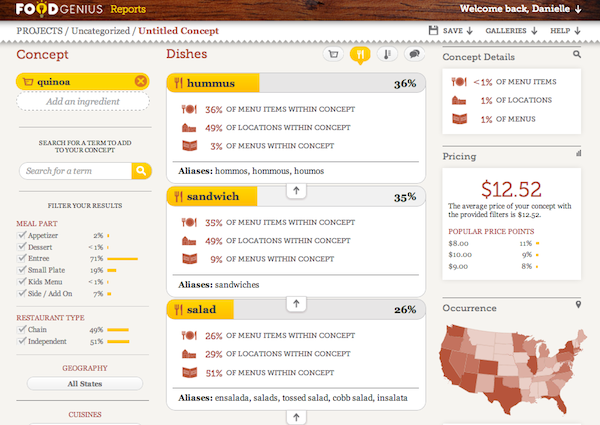 The future of restaurant R&D got a whole lot easier with the launch of one not-so-little dashboard. With more than 100,000 unique menus and 22 millions items from restaurants nation-wide, Food Genius Reports allows restauranteurs big and small to test product ideas, ingredient combinations and more in almost real-time. 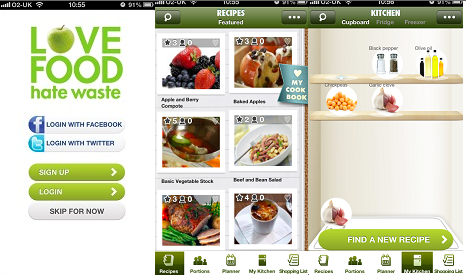 2013 has been a whirlwind year for online cooking education startup Feast. And while the 500 startups alum has dabbled in everything from ingredient delivery to culinary skills videos, one thing is for sure, this company is betting that the future of cooking education is online. And as the company moves in a new direction focused on cooking habits, we’re excited to track how it continues to innovate and establish itself in the crowded online cooking space. The Food Loft, Boston’s first food-centric co-working space, offers passionate, game-changing food and food tech entrepreneurs the connections and support to flourish. An initiative of veteran cookbook publisher, Harvard Common Press, the space aims to combat the lack of resources – like contacts, insights and funding – that can prohibit many food startups from success. We chatted with founders Bruce Shaw and Adam Salomone to learn more about The Food Loft’s mission and goals. The following 10 interviews provide a in-depth look at some of the more innovative business models we’ve profiled, and many of them fall under the game-changing food trends we’ve flagged for 2014. 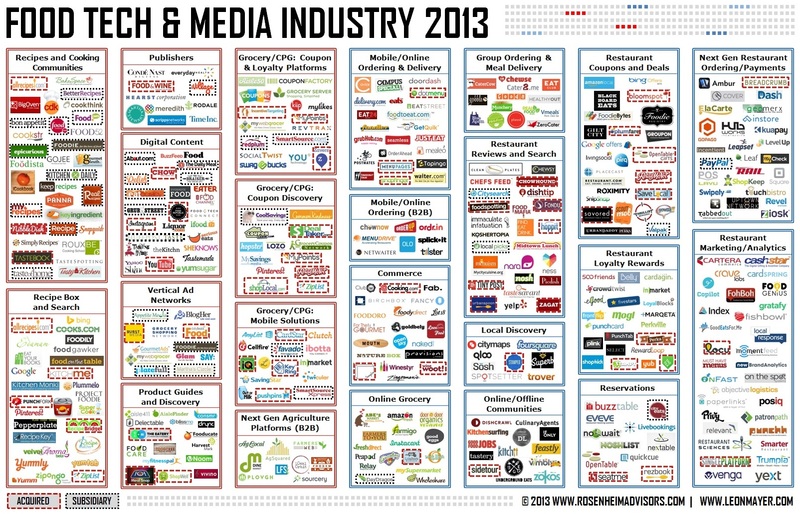 Are there any stand-out articles you think we missed? Please let us know in the comments below, and we’ll add them to the list.